The Paducah Sun’s Ed Marlowe talks Racer football, basketball, volleyball, and soccer, plus a bit on this week’s huge SEC games. FiveThirtyEight contributor Josh Planos talks about Klay Thompson’s insane night, this week’s Saints-Rams match, and two monster SEC Football battles this Saturday..and much more. A recap of the OVC football weekend and Racer loss to JSU with post game audio from players and coach Mitch Stewart. Also, regional sports update on MSU, area college, and high school sports. Voice of the Calloway County Lakers Blake Bernier talks high school football and gives some NFL Fantasy advice. The Paducah Sun’s Ed Marlowe talks Racer football, OVC Basketball Media Day, and Racer volleyball and soccer. Five Thirty Eight contributor Josh Planos talks about the Ohio State upset, the college football playoff landscape, NFL, and if the Lakers will finally win a game this week. 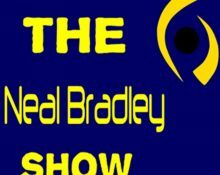 Voice of the Calloway County Lakers Blake Bernier talks high school football and basketball, NFL and NFL Fantasy. Ed Marlowe talks Racer football, basketball, golf, volleyball and soccer, plus, previews the Cats Pause Yearbook and his Region 1 Top-10 players. FiveThirtyEight contributor Josh Planos talks about opening night in the NBA, the big NFL games, and a bloody weekend for college football’s Top-25.